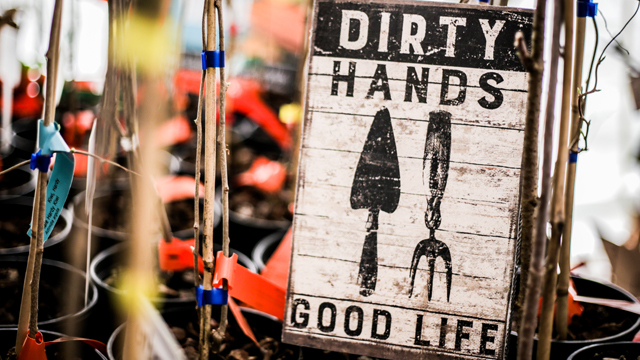 Organic Growers School’s annual Spring Conference is our biggest event of the year. It happens each March, and in 2017, we celebrated our 24th event. Our largest event to date, we were thrilled with the class line-up, the attendance, the keynotes, and even the mercurial spring weather didn’t throw too big a wrench in our plans. The planning of the Spring Conference starts the previous year, in most cases right after the previous conference ends, but the hot and heavy work months are October through March. So I was quite ready for a break in March after the 24th Annual Spring Conference was successfully complete. A sign on display at the 24th Annual Spring Conference. These days, stay-cations are more appealing to me than extensive travel, and part of that allure is deepening into the richness of the region I call home—the Southern Appalachian Mountains. There’s so much to see and do, explore and expand on right here in my own backyard. And this year was no exception. I spent my week splitting my time between North Georgia, Atlanta, Hot Springs, and Asheville which made for quite a varied experience. The two highlights of my trip worth sharing with the OGS family are related to rural life and to sustainable agriculture. But even better, they are close by. Less than 2 hours by car from Asheville, North Georgia’s Rabun county is a gem. Surrounded by the Nantahala and Chattahoochee National Forests, Rabun County, with a population just over 16,000, is the northeastern-most county in Georgia. A mountainous region surrounded by natural beauty, it’s got the feel of the far west counties of Western NC, and similarly, it is home to a large Cherokee population. 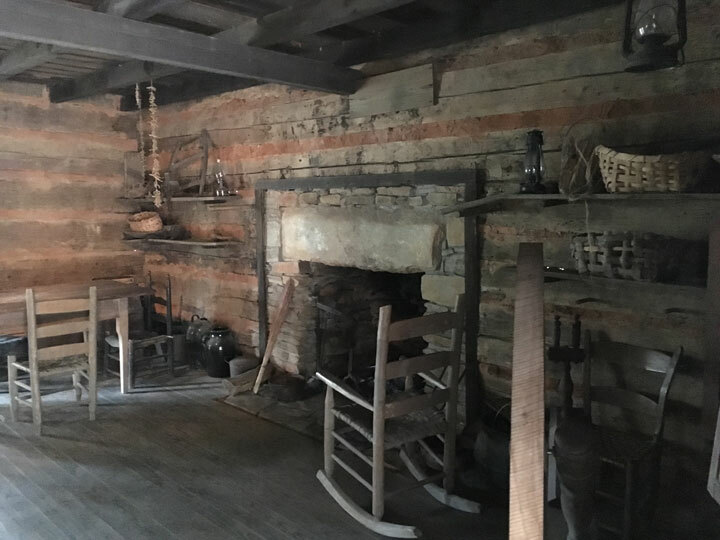 Inside a reconstructed log cabin structure at Rabun County’s Foxfire Museum and Heritage Center. In 1974, they used the royalties from the wildly popular books to purchase land which now hosts a museum and heritage center that offer a glimpse into the Appalachia of the past. There are more than 20 authentic and reconstructed log cabin structures which were relocated to the grounds from around the region. These buildings are traditional designs with the oldest being a one-room log cabin from the 1820s that was home to three generations of families. A self-guided walking tour along a ¼-mile trail winds through the outdoor museum and loops around back to the museum gift shop with regionally and hand-made crafts, all the foxfire magazines and books, and textiles from the artist in residence. For those of us interested in homesteading, self-reliance, and rural living, to see these living histories is thrilling. Without them much of this wisdom would be fully lost. 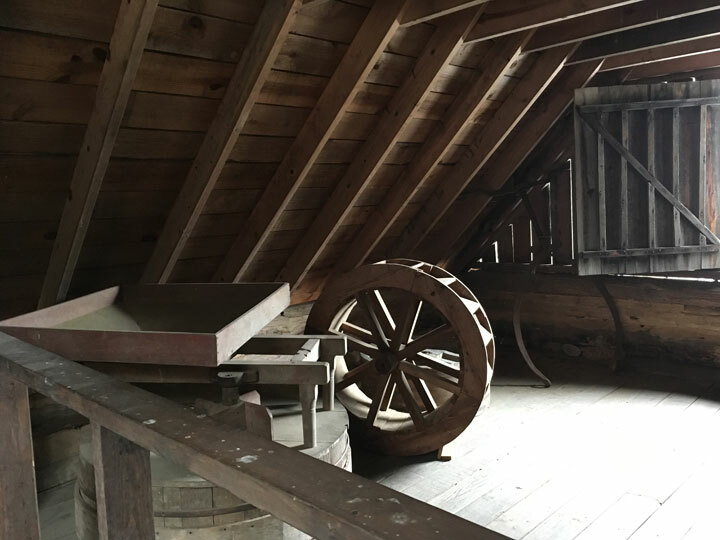 If you live in the Appalachians, whether for a short time or long, this museum offers a peak into a life we can still see and feel around the edges and pays homage to the ones who came before us. Location: The museum is at 98 Foxfire Ln., Mountain City, GA 30562, 706-746-5828. Fees: Ages 11 & up—$6.00; Ages 7–10—$3; Ages 6 & under—free. No charge to visit the gift shop. Click here for information, directions, and hours of operation. My dear friend Patricia Kyritsi Howell is a resident of Rabun County. 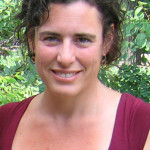 I relish every opportunity to connect with her and have been successfully able to lure her up to Asheville to teach with Organic Growers School over the last few years so that others get to experience her as well. 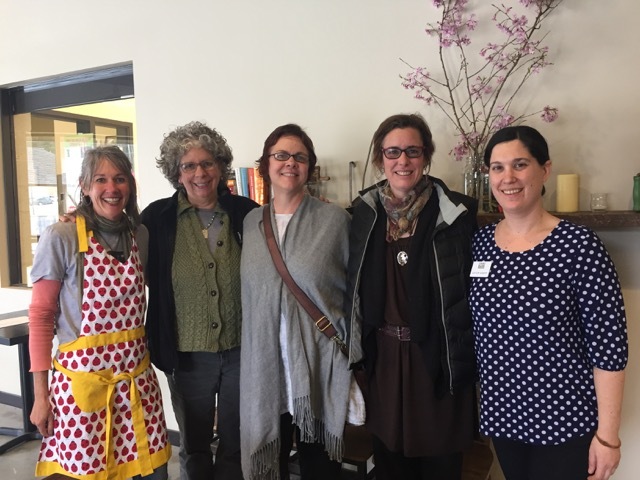 My journey to North Georgia was a great opportunity for connection, and due to our shared interests and her local connections, a private tour into the Rabun County Food Bank. Flash freezing equipment at the Food Bank of Northeast Georgia. The $6.4-million facility is part of the Northeast Georgia Food Bank system that’s distributing 12-million pounds of food through more than 225 partner organizations in 14 counties. They do what other food banks do and distribute donated and salvaged surplus food to agencies like churches, pantries, emergency food funds, and kids programs. In addition they’re piloting a program that helps get fresh and frozen whole foods into the hands of local residents. Their flash-freezing facility takes fresh food from local farmers and produces a product with shelf life and locked-in nourishment. Flash freezing happens in nature and is used in the food industry (usually only accessible to big packing companies) to maintain the integrity of the product and lock in the nutritional value. In a matter of minutes, whole or cubed vegetables are washed, cut, frozen as individual pieces of food, and then packaged in airtight bags ready for freezer storage. For busy families, sometimes unfamiliar with cooking whole foods, receiving a bag of frozen carrots or squash can be less intimidating to work with. And best of all it allows folks to eat local produce that’s ready to cook and use. 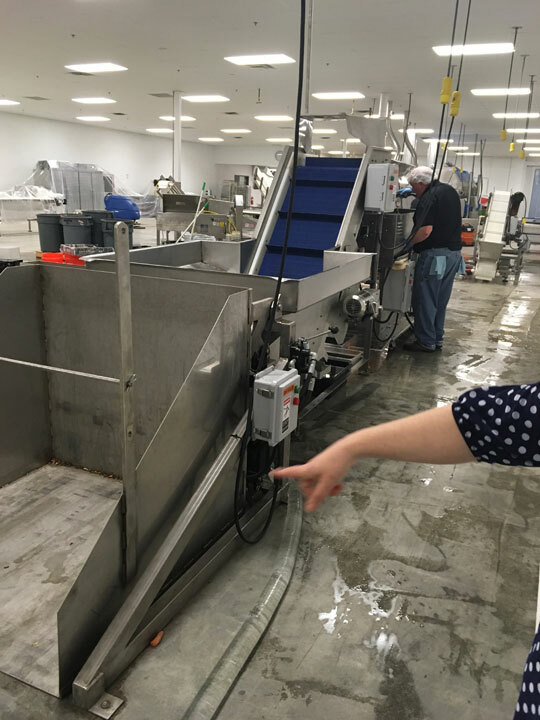 Additionally, the flash freezing equipment can be used by local farmers to processes their own produce for delayed distribution, thereby extending their season and income opportunities. Organic Growers School’s Executive Director, Lee Warren (second from right), at the Food Bank of Northeast Georgia in Rabun County. increasing distribution of locally grown produce to the needy. 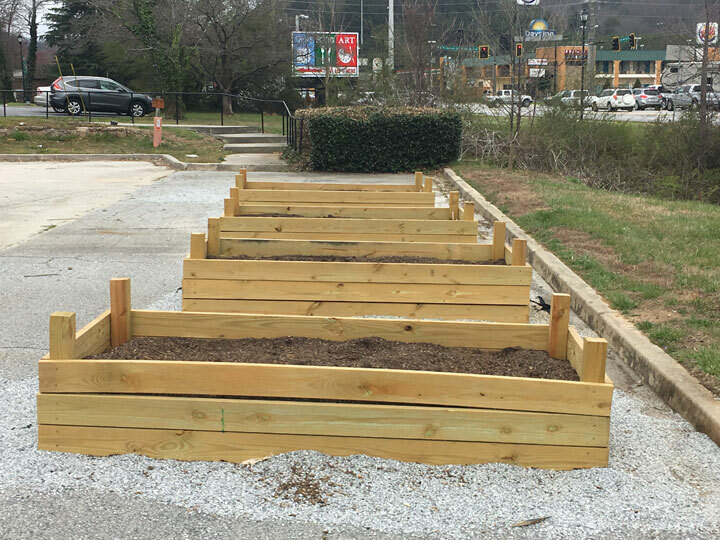 Container gardens used to grow fresh produce in the Food Bank of Northeast Georgia’s parking lot. It’s great to know that our Appalachian neighbors are providing something so innovative in our area. The combination of fostering local businesses and providing quality education along with tackling food insecurity issues brings together the farms, communities, non-profits, and businesses in their region. This a holistic and cross-sector approach will no doubt increase awareness, collaboration, and offer a platform for the social cohesion that solves problems on a systemic level. Educating and empowering people to make better food choices is one thing, but providing them the actual food to do it on a regular basis, and from local farmers, is quite another. Special thanks to all the folks in Rabun county that are making this a possibility.